Extremely interested in cartooning, he moved to Pune with the strong active support of noted editor, late Mr. Anant Antarkar of Hans Publications, and started his career as a cartoonist and a humour illustrator. 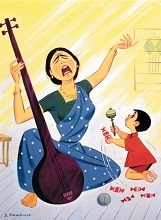 Since then, innumerable books and periodicals have been enlivened by the cartoons of S. D. Phadnis. 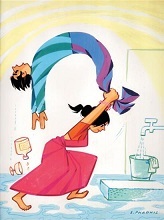 He has carved a niche for himself in the field of humourous illustrations. 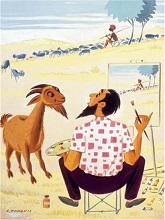 Many of his works have been featured at the International Salon of Cartoons, Montreal, Canada. 2012 : 'Maharashtra Sahitya Parishad Puraskar' for the book 'Reshatan' written by S. D. Phadnis. Many of his cartoons have been exhibited and published by the International Salon of Cartoons, Montreal, Canada. Some cartoons have also been published in periodicals of USA and Germany. 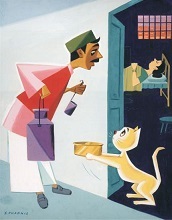 S. D. Phadnis has designed the cover of the Diwali Special issue of the Mohini magazine, for every year since 1952.